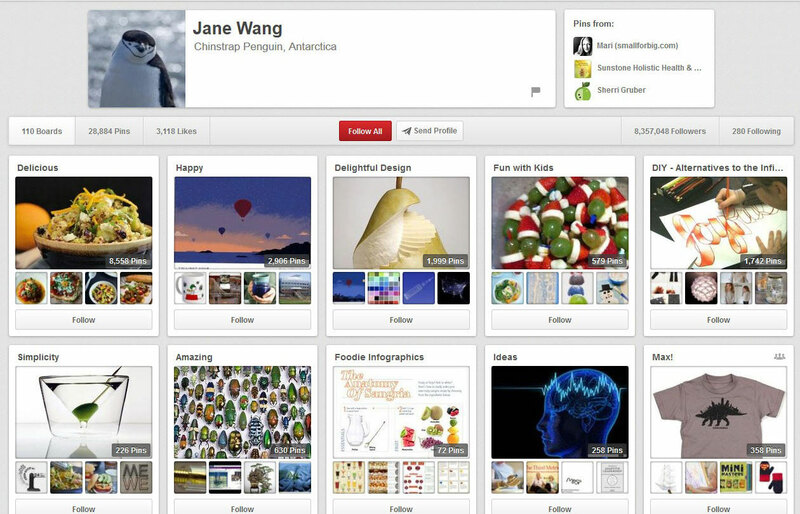 You aren't the only mom giving Pinterest lots of love, but have you checked out the most popular Pinterest moms on this digital bulletin board yet? 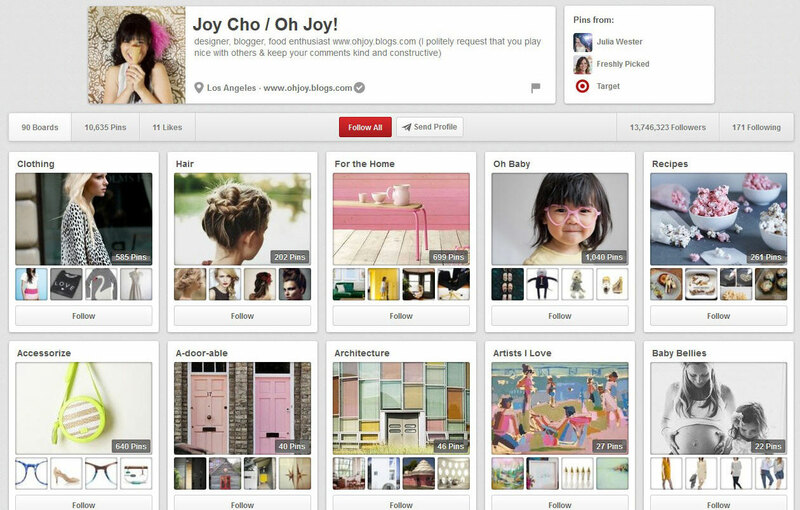 From designer, mom and pinner with the most followers Joy Cho of Oh Joy! 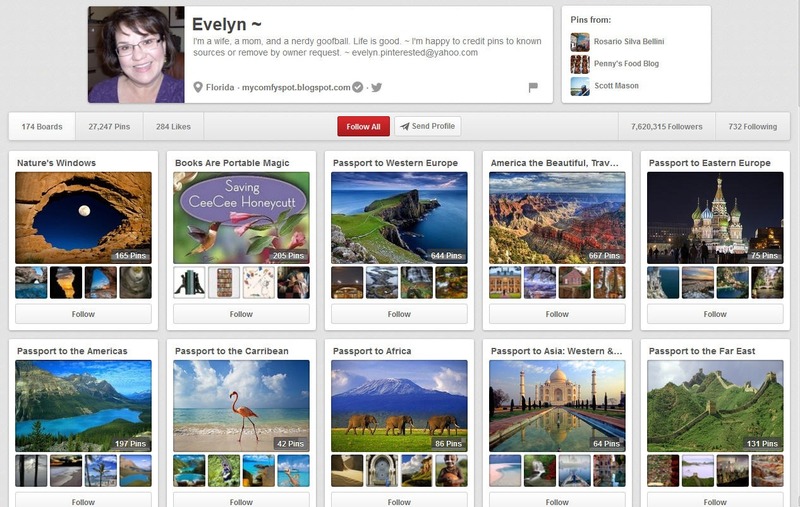 to virtual traveler Evelyn ~, check out these five moms to follow on Pinterest. As a full-time graphic designer, blogger, mom and all-around busy gal, Joy Cho's Pinterest boards are filled with everything visually appealing. 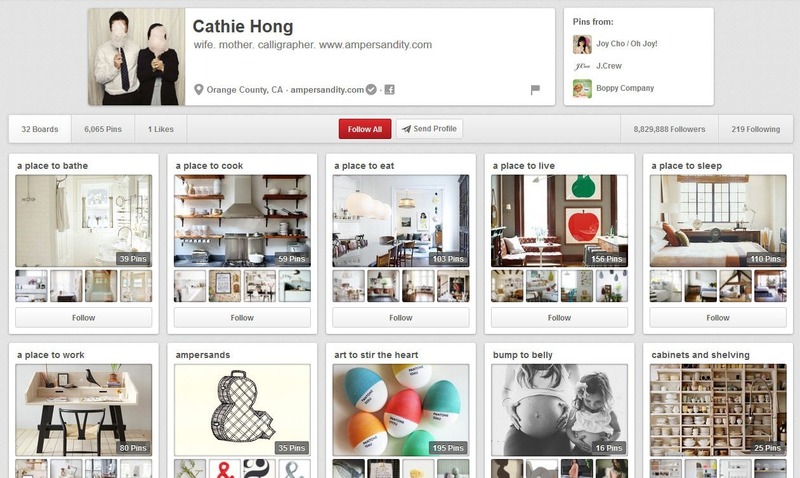 From decorating and architecture to her favorite fonts and fabrics she loves, this Pinterest co-founder's pins make life a little bit prettier. And, her love of food also makes for some yummy pins, too, including edible gifts. Or, you can soak up her flair for style with her favorite fashion finds and her pins of wee-little wears for her toddler — oh so cute! Blossomed from her calligraphy and custom stamp business, Cathie Hong has pinned together a neatly organized collection of boards, covering card and paper crafting, kid-related goods and designs, favorite food finds and every possible room you could make over in your home. While it may be easy losing yourself in this Orange County, California, mom's Little People photos board, be sure to check out her Pin it forward board and reflect on what home means to you, too. 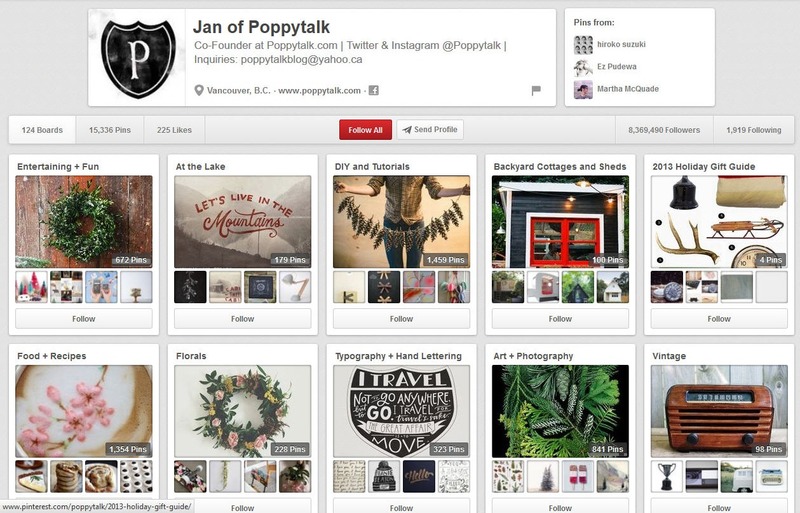 Mother to most followed pinner and Pinterest co-founder Joy Cho, Jane Wang fills her Pinterest boards with a little bit of everything. 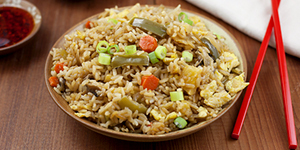 From things that will make you happy to delicious food. But, be sure you don't skip over her spa time board... you deserve to pamper yourself after a long day of parenting! Co-founder of Poppytalk and lover of good design, this design blogger pins decorating tricks and easy-to-do home projects. Take a peek at the Pinterest boards of Jan Halverson and you won't be disappointed by the balance of kids' stuff and cool decorating tips that will have you running to renovate your home — and your kids' closets! This wife, mom and blogger from Florida will take you on a trip around the world without ever leaving your computer with her travel boards like passport to Western Europe while finding the beauty in nature with boards like sky art. Whether you're looking for a visual break or are seeking a little something for the wee ones, Evelyn's collection of breathtaking photo inspiration will help you forget about your cares — at least for a little bit.